Shampoo with extract of walnut peel for dark hair - a great tool for the care of thin and weakened hair. This shampoo contains a blend of extracts of walnut peel, root, musk and backgammon, Indian gooseberry and soap nuts. Shampoo with ectractor walnut peel thoroughly cleanses and revitalizes hair, strengthening them and giving volume and Shine. Gives a dark shade gray hair and maintains a smooth dark color with regular use. Application: apply to scalp and damp hair, generously lather and rinse with water. Original name: Bio Wallnut bark shampoo. All products of the company Biotec is brought to us from India! 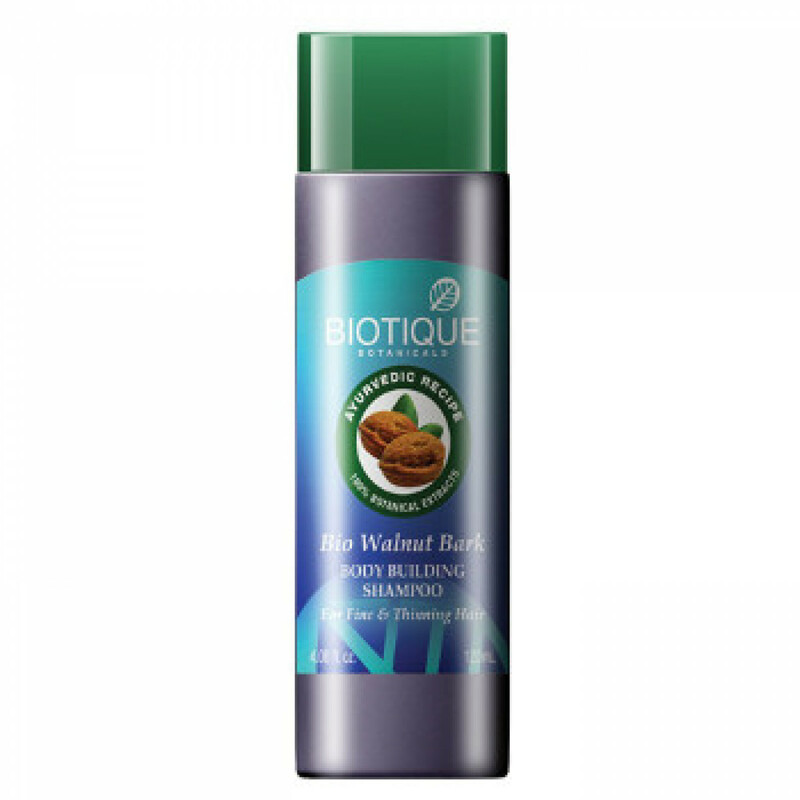 Original name: Bio Wallnut bark shampoo Biotique. In our store You can buy authentic Shampoo with ectractor peel walnut Biotic at the best price!